Terrific B&W photo of this Zebra. The B/W medium suits this shot exceedingly well !! Nice play of contrasts !! Loving all the Zebra photos today. I think they are just such handsome animals. Thanks too for the information! Good to have lots of zebras; great info....quagga was my 'Q' shot! Outstanding Z because I enjoyed reading all about zebras. Thanks. A great Z in black and white! Great zebra, lovely details and fab processing. Very nice. 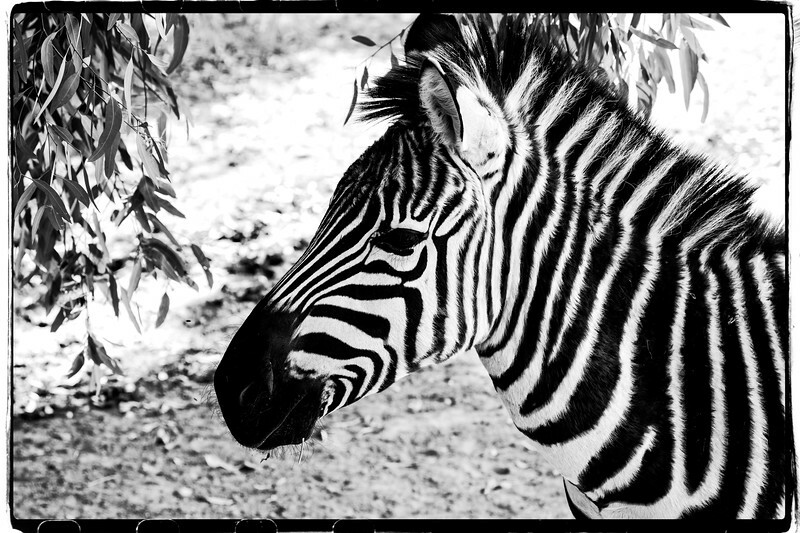 You were the only zebra poster (so far) who thought BW processing was appropriate, but I agree with your choice. Nice black and white Z.